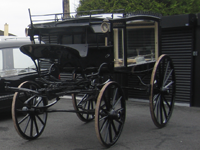 Showrooms are where a family may view the coffins, caskets and urns available. Our showrooms contain carefully selected ranges of coffins, caskets and urns. Our selection includes solid-oak, Italian and eco-friendly ranges of coffins and caskets as well as a wide range of cremation or funerary urns. Our facilities include a state-of-the-art embalming theatre which compliments our extensive embalming services.